In the childhood we used to listen to some fairytales that were so close to our heart. We used to feel like being a character from the dwellers of those fairytales. Then later on came the time of characterization and filming of these fairytales. So we all feel like being too close to the this phenomenon. 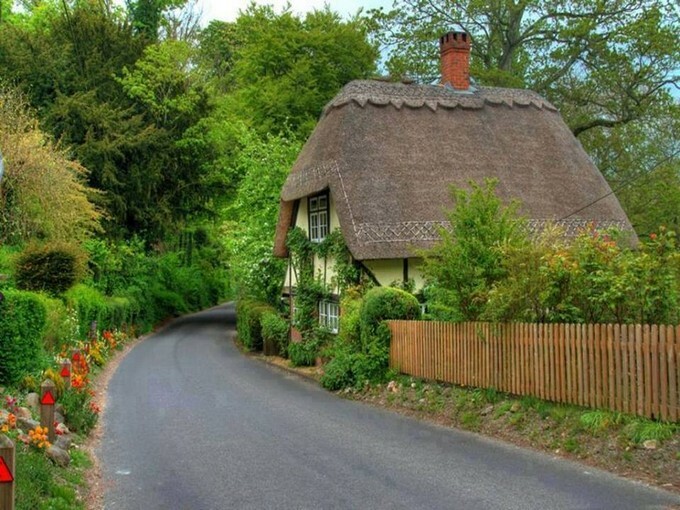 Did you ever imagine to actually live inside such fairytale cottages? 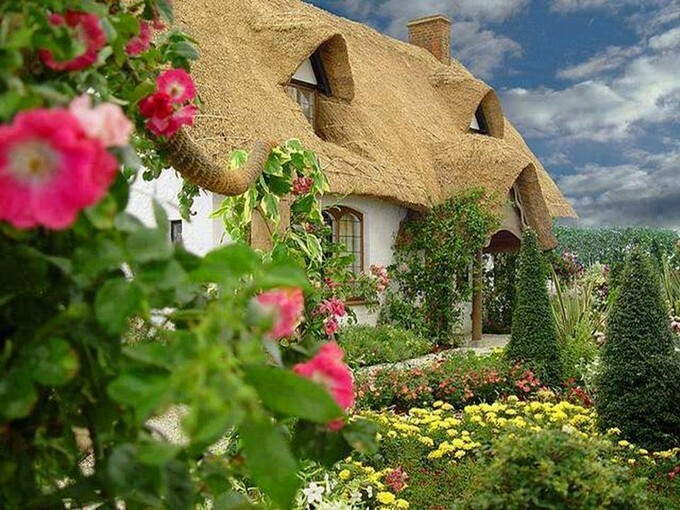 Or the cottages that were inspired from the fairytales? We have explored some of the cottages that are not constructed normally or conventionally. These area created by some fanatics who were so obsessed with these heart touching stories. This one seems to be a cottage constructed on a countryside road by some art fanatic who was not just satisfied with the regular construction style and materials that are normally used. This one seems to be more influenced from tipi tents as the shape tends to be more conical. 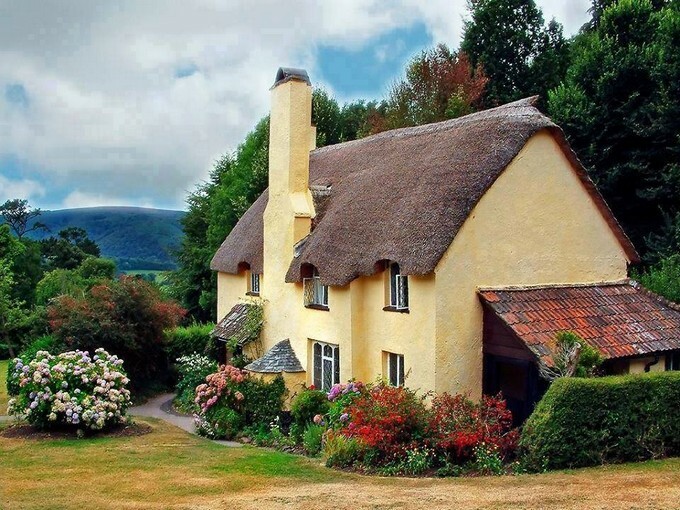 Did you ever come across such a superb castle like cottage? To me it seems to be a dream as unfortunately I couldn’t find such places practically. This is just an example of how people love to decorate their living places and how much they are attached with these buildings. 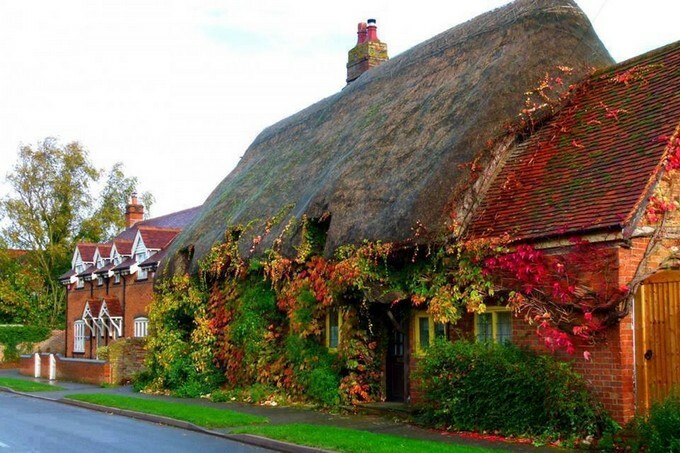 I mean in the entire west nowhere you would find such cottages commonly. They are so damn rare that this is literally hard to find such examples. The lower portion seems to be regular while on the top we see some strange material being used there. 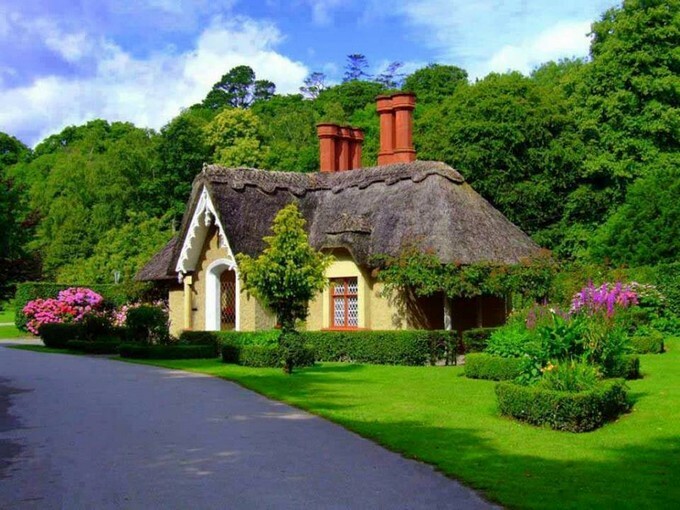 In some green top hilly areas, having this sort of cottage is just like a dream comes true. We can see a lot of greenery in the surroundings. Green patches of grass studded with fresh flowers and trees all around. I would simply love to spend my holidays in such a piece of heaven on earth. 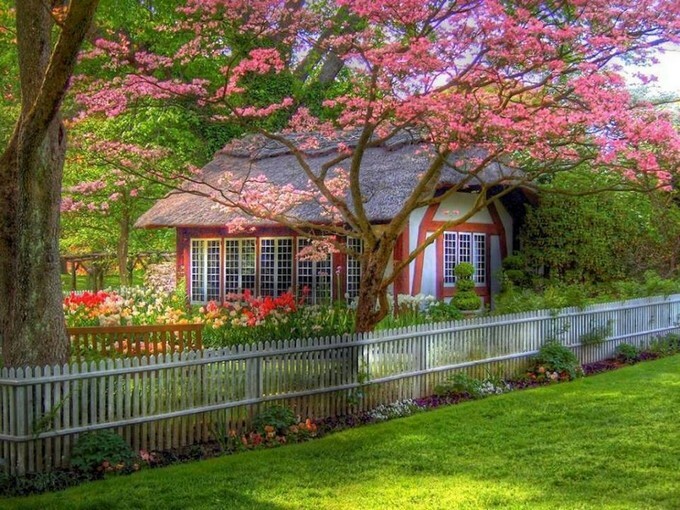 Having a look on this marvelous cottage where it seems like whole nature and its beauty has concentrated to this certain point. 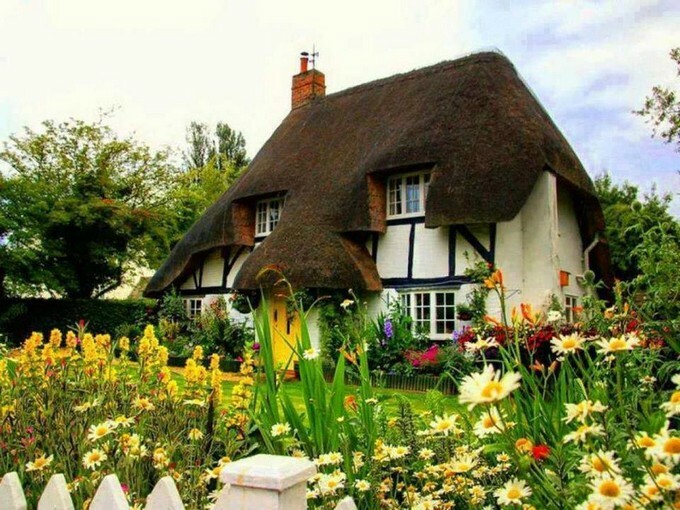 White clouds on the sky, flowers and conical plants all around and right in the middle the same dreamland or fairytale cottage has over shadowed the beauty of the rest. Do you see the little squared tiny wooden slabs that are pasted on the top of the cottage, I think whole of the stuff was taken from the scrap. But the way they are used here is simply phenomenal. A classic round door on the front, a curvy designers window, everything is simply upto the mark. From a distant look it seems like this is a mud house in some old vintage era, and also stained with the raw paint that is pretty prominent on the entire building. Plus the whole area is stuffed with green foliage and fluffy green plants along with the flowers. 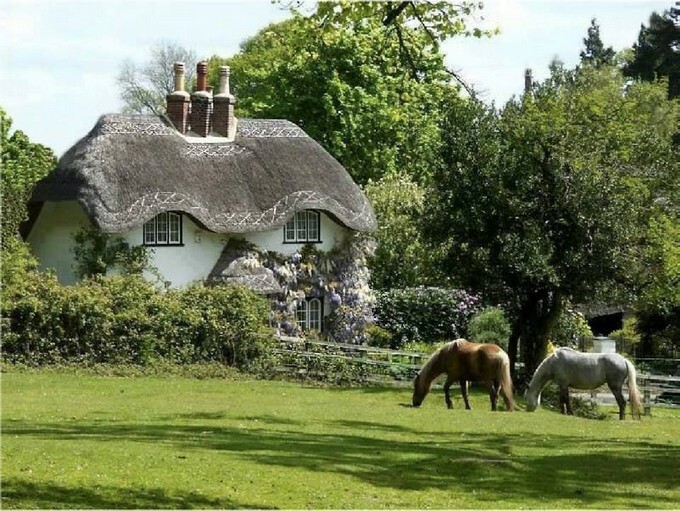 I think if you are truly a nature loving person you must consider these fairytale cottages. They are a fairytale in a practical world where we can literally imagine the how these super natural creations really existed and lived.